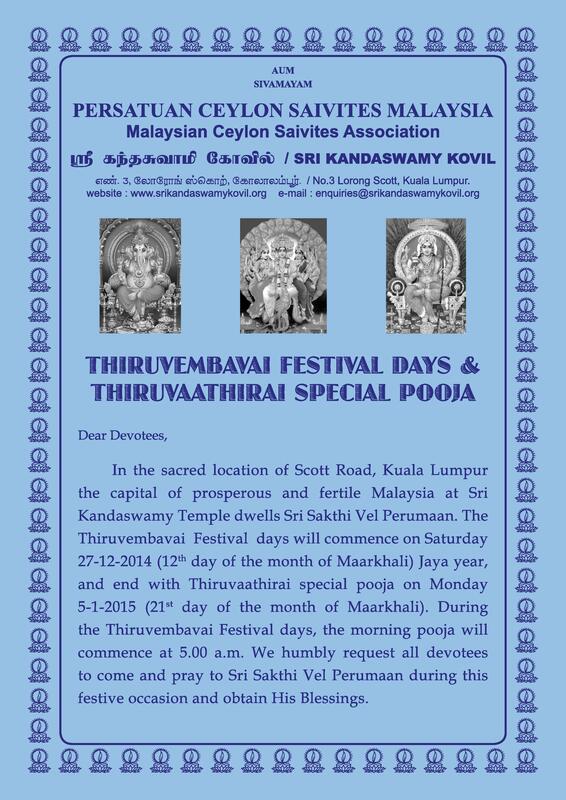 The Thiruvembavai Festival days will commence on Saturday 27th December 2014 (12th day of the month Maarkhali), Jaya year and end with Thiruvaathirai special pooja on Monday 5th January 2014 (21st day of the month Maarkhali ). 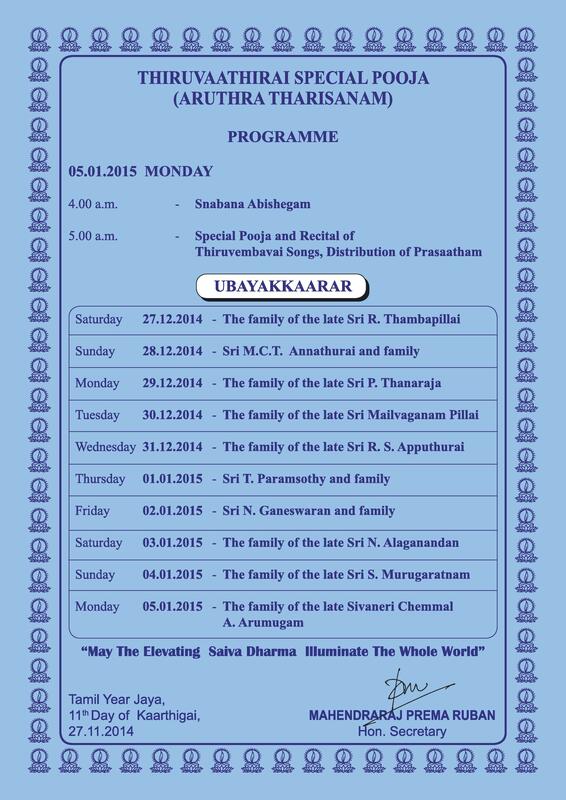 During the Thiruvembavai Festival days, the morning pooja will commence at 5.00 am. 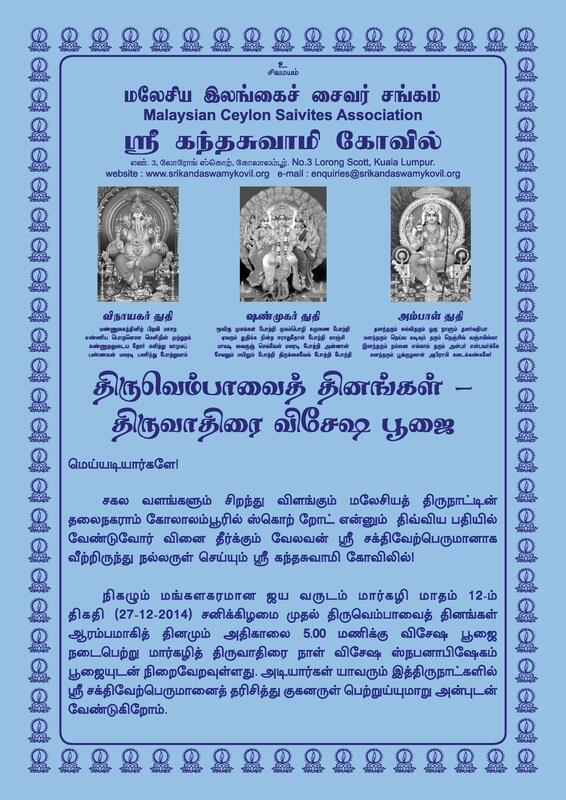 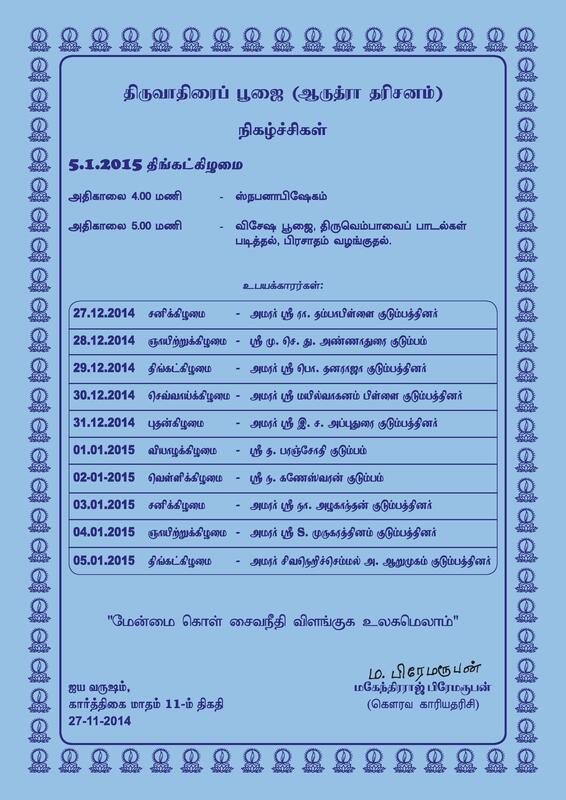 We invite all devotees to participate in the festival and receive the blessings of Lord Sakthivel Perumaan.